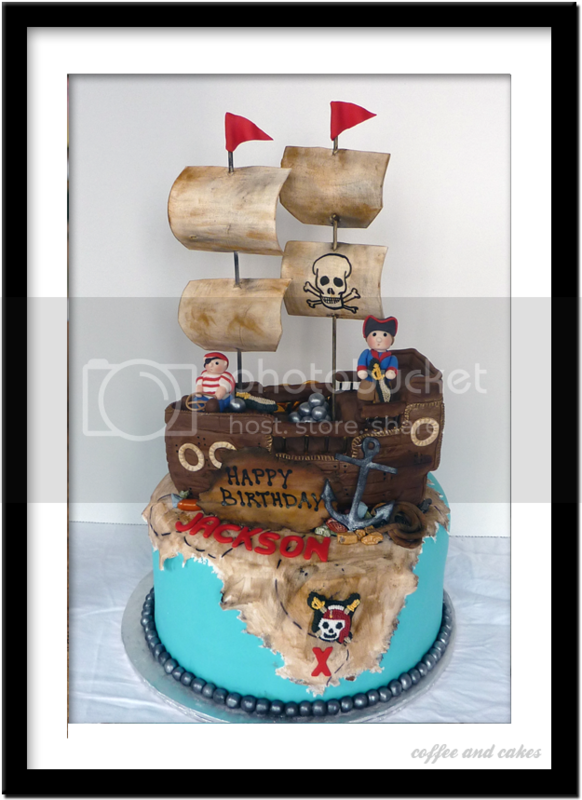 Jackson's awesome Pirate Birthday Cake is a one-tier cake with a pirate ship and pirates custom modeled from fondant. It features a highly detailed ship and treasure map as well as custom edible painted skull and crossbones. Perfect for any pirate lover, Yarr!